Dr.Mohan who had finished his medical graduations (PG in Medicine & Super Speciality in Cardiology) at the prestigious Institute Sri Ramachandra University Hospital at Chennai. He had an good teaching experience more than 10 years with UG (MBBS) students, PG (General Medicine & Accident & Emergency Physicians), Paramedical students (BPT, B.Sc. Nursing & Physician Assistant). 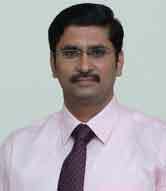 He had attended various overseas shorterm fellowship courses (Left main, CTO, Complex Coronary Intervention, ICD Therapy) which made him to get excellent depth in practical knowledge and skills in Interventional Cardiology which turned to work him in various Institute and Hospitals includes Sri Ramachandra University Hospital (Assistant Professor of Cardiology), Vijaya Health Centre, Fortis Malar Hospital (Senior Cardiology Registrar – Cardiac Care ICU & visiting Interventional Cardiologist), Bill Roth Hospitals (Visiting Interventional Cardiologist),Global Health Care Hospitals (Senior cardiology Registrar – Cardiac Care ICU & visiting Interventional Cardiologist) at various positions before he joined in KMCH Hospital, Coimbatore. Excellent Secondary School Acadamic Awards from 6th to 12th Std. Investigator & Study co-ordinator in Global study on “LY333328 versus vancomycin in complicated skin/skin-structure infections” – 2002.